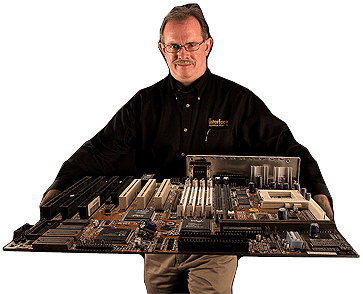 30+ years architecture and development experience in the supercomputer, financial, security, telecommunications and Internet industries with Honeywell Large Computer Products, NEC Supercomputers, First Interstate Bank, Wells Fargo Bank, AG Communication Systems, and Lucent Technologies. BA degrees in Chemistry and Biology from Willamette University, studied graduate level Neurochemistry at Arizona State University, MBA in Management and Services Marketing at Arizona State University in 1993 graduating first in his class. Internationally published author including CIO.com, InformIT, Dr. Dobbs Journal, One Planet Magazine. Five years as primary analyst for Evans Data Corporation North American, APAC, EMEA and Wireless developer surveys. Certified Project Management Professional, active leader for Phoenix Project Management Institute; State of Arizona PM certified. Co-authored Risk Management and edited Project Management courseware. Steve enjoys converting projects based upon technical analysis into practical application. President of Blue Sphere Solutions, providing outsourced CTO services to emergent and growth oriented businesses. Community involvement: 39+ years Boy Scouts of America leadership, past Heard Museum Council President, former federally licensed wildlife rehabilitator department lead with Liberty Wildlife Rehabilitation Foundation. I definitely got A LOT out of the training with Steve. He’s an excellent instructor and provides great context to content that can be very dry and overwhelming. I would absolutely recommend the PMP class and Interface!